Today's most successful business leaders understand that they must manage their human capital as strategically as their financial capital. An employee’s ability to train a team effectively is a skill of its own that requires an understanding of different learning styles, group dynamics, and much more. Effective HR leadership goes beyond managing all the tasks and responsibilities carried out by the HR function. It also requires the critical soft skills needed from any leader: courage, sound judgement, ability to influence others, political agility and effective communication. Accredited training is not just about adding qualifications to your HR (or management) team. The real benefits lie in the value added to your whole organisation, such as improved productivity and leadership excellence. As well as being an investment for the organisation itself, and its employees, accreditation is also viewed as a prerequisite to success. As companies grow, often diversifying into sub-groups and departments in the process, first-class training becomes a vital component of an organisation’s consistency towards working standards and practices. The success of a business, from SME’s right through to multinational companies, relies heavily upon employees’ effectiveness and consistency. Offering reliable accredited company training across an organisation instills loyalty in employees and confidence in those who come into contact with the business. Additionally, offering this training in-house reduces costs associated with travel time and being out of the office, thus improving efficiency. Participants learn more effectively and efficiently in classes run by motivated trainers. All sorts of negatives are eliminated and all sorts of positives are realised. Simply put, people try harder and pay more attention when classes are led by competent and enthusiastic trainers. More importantly, when classes are finished those same people are more likely to continue to use what was taught well. Situational Leadership® is a proven and time-tested learning model and is designed to increase the frequency and quality of conversations about performance and development between managers and the people they work with so that competence is developed, commitment is gained, and talented individuals are retained. Deployed in more than 70% of Fortune 500 companies, Situational Leadership® will equip leaders in your organisation with the tools necessary to skilfully navigate the demands of an increasingly diverse workforce and evolving global marketplace. Infinitely adaptable to any circumstance, the model prepares leaders to address the most pressing challenges pervasive in today’s work environment. Situational Leadership® is a model for developing individuals so they can reach their highest level of performance on a specific goal or task. It is a process that leaders and managers can use to help individuals ultimately become self-motivated and self-directed. In this model, the manager learns skills to assess an individual’s development level. S4: Delegating – the leader’s role is to participate and monitor – the main responsibilities have been passed onto others. A manager’s natural characteristics are as diverse as the people they manage. How you deal with one of your team and how you speak to them in a specific situation may be different to the way that you would deal with another in the same situation. How they respond to you can be a direct reaction to how you have spoken or dealt with the issue. The old adage ‘it’s not what you say, it’s how you say it’ rings true in many instances, especially in a boss-subordinate relationship. By analysing your predominant style and how it motivates or demotivates your staff may allow you to examine the interactions you have with staff members and develop more effective strategies for leadership. Situational Leadership®, which stresses flexibility and simplicity in execution, can equip leaders in your organisation with the tools necessary to skilfully navigate the demands of an increasingly diverse workforce and evolving global marketplace. GBS Corporate Training is the sole UK provider of Situational Leadership® training. As well as providing a number of Situational Leadership courses, we also offer an accreditation in Situational Leadership® for managers, trainers and HR professionals who are responsible for facilitating leadership training programmes within their organisations. In order to accomplish more with fewer resources, and in real-time, organisations need strong, yet flexible leaders. 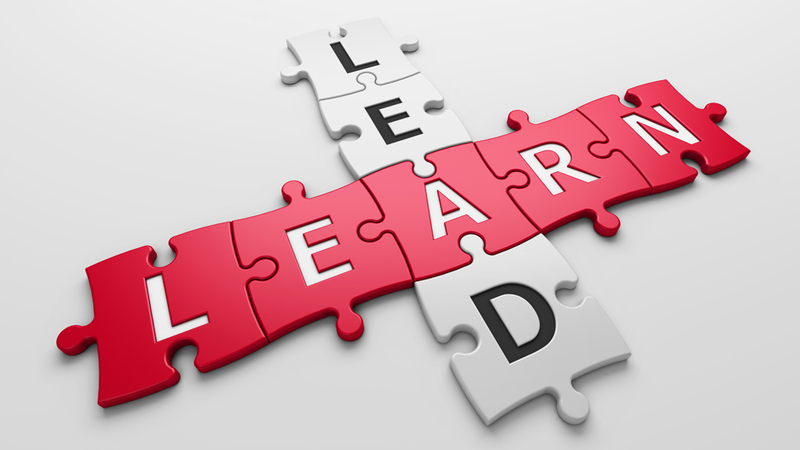 They require leadership principles that are understood and practiced by every member of the organisation. Immerse your trainers and HR professionals in a diverse learning environment that focuses on providing participants with the tools and knowledge required to build better leaders within your organisation. Our Situational Leadership® accreditation (part of our suite of leadership and management courses) can be awarded to an organisation’s internal trainer(s) who successfully complete(s) the three day Situational Leadership® Train the Trainer programme. Participants then undergo ‘teach-back’ where they prepare and deliver an agreed section of the Situational Leadership® programme. Accurate demonstration of knowledge and understanding of the model will result in accreditation. (It should be noted that individuals’ training skills are not assessed). Making the investment to accredit your own trainers and HR staff in Situational Leadership® through GBS offers many business benefits. Trainers can go on to impart their skills effectively to others, thereby building a strong internal support system where learning is part of an employee’s everyday experience.